The 1993 Latur earthquake struck India at 3:56 am local time (UTC+05:30) on 30 September. 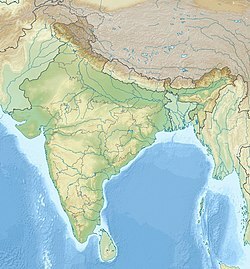 The main area affected was Maharashtra State in Western India. The earthquake primarily affected the districts of Latur and Osmanabad, including the Ausa block of Latur and Omerga of Osmanabad. Fifty-two villages were demolished in the intraplate earthquake. It measured 6.2 on the moment magnitude scale, and approximately 10,000 people died, whilst another 30,000 were injured. The earthquake's hypocenter was around 10 km deep – relatively shallow – allowing shock waves to cause more damage. Because the location does not lie on a plate boundary, there was some debate as to what caused the earthquake. One suggestion is the existence of fault webs. The Indian sub-continent crumples as it pushes against Asia and pressure is released. It is possible that this pressure is released along fault lines. Another argument is that reservoir construction along the Terna was responsible for increasing pressure on fault lines. Killari, where the epicenter of the quake is believed to have been, had a large crater, which remains in place to date. Several foreign and local donors reacted immediately to the tragedy by sending relief teams and rescue workers. Physicians and staff from Railway Hospital, Solapur and V.M. Medical College, Solapur were amongst the first to reach the site and assisted with treatment of the injured over the next several weeks. The first convoy of over 120 trucks laden with relief material such as tents, blankets, food and clothing, medical supplies and temporary shelters given by international donors departed from Mumbai at around 10am on 2 October 1993. 42nd battalion of MIL, The Indian Army, State Reserve Police Force, Central Reserve Police Force and other law enforcement agencies rushed their personnel almost immediately after the quake, assuming there would be a greater number of casualties. Among the first to respond were amateur radio operators from Bombay and Hyderabad, who had rushed to Omerga, a town near Latur from where all quake-hit areas could be accessed by road. The Mumbai-based JNA Wireless Association undertook a special mission. With four-wheel drive vehicles given for the purpose by Mahindra and Mahindra, a group of eight Mumbai-based radio hams escorted the supplies convoy from Mumbai to Omerga. Later, the radio operators split into four groups and visited scores of ravaged villages, relaying vital information – such as possible outbreak of disease, food supply and devastation – to a control station set up in Omerga. During the 10-and-a-half-day trip, these radio hams successfully assisted disaster mitigation efforts undertaken by the Indian government and private aid agencies. ^ "Earth Quake". Retrieved 26 August 2014. ^ "PHOTOS : किल्लारी भूकंप, २३ वर्षांनंतरही जखमा अजून ओल्‍या". divyamarathi (in Marathi). Retrieved 2018-09-13. ^ "Maharashtra's deadliest earthquake: Some facts you must know about the Latur earthquake". India Today. Retrieved 2018-09-13.